The Tucson Weekly’s Best of Tucson voting is underway and we’d like to remind you to please submit your ballots. BlogForArizona is in the final round for Best Local Blog, as we would love our readers to vote for us. 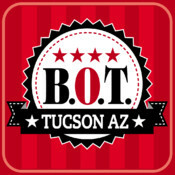 We here at BlogForArizona bring you news, opinion, events, and announcements on a daily basis. Ten regular contributors and many guest commentators are working hard to keep you informed and entertained. We would appreciate your vote to help us spread the word about our work. Many thanks from all of us! Previous articleDo you know who else had a manifesto? The Tucson Weekly should vote NO for this site,cause it was ruined weeks ago when re-designed,and written word IS NO LONGER seen on RSS Feedreader screens!!! !